Congressman Albio Sires proudly represents the 8th Congressional District of New Jersey. Born in the Cuban town of Bejucal, he grew up in the waning years of pre-Communist Cuba. His family fled in January 1962 with the help of relatives in America. Congressman Sires became a star basketball player at Memorial High School and received a four-year basketball scholarship from St. Peter’s College. He went on to receive a Masters Degree from Middlebury College in Vermont. Congressman Sires was a teacher and business owner before entering public service. He proudly served as Mayor of West New York, New Jersey from 1995 to 2006. During that time, the Congressman created more affordable housing units than any municipality in the State of New Jersey by fostering public-private partnerships and the use of targeted tax incentives. He balanced twelve consecutive municipal budgets while maintaining and enhancing vital municipal services. His efforts were recognized by many, including the New Jersey State Bar Association and Legal Services and his fellow Mayors who named him, “Mayor of the Year” in 2004. 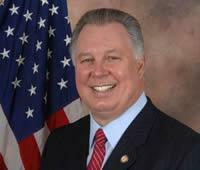 Congressman Sires also served in the New Jersey State Assembly, where he served two terms as Speaker of the Assembly. As Speaker, Congressman Sires led the effort to create the Office of Lieutenant Governor and the Assembly Committee on Homeland Security and State Preparedness, as well as, raise the minimum wage, expand job training, and fund valuable cancer research. He also created the STARS I and STARS II program, which offers full county and state college tuition scholarships to thousands of students. He increased funding for public education by $760 million and helped fund after-school programs to get kids off the streets and away from gangs. During his first term in the U.S. House of Representatives, Congressman Sires served on the Financial Services Committee. There he focused on housing, introducing legislation to aid public housing authorities and supporting housing for low-income seniors. Today, Congressman Sires serves on two Committees: Foreign Affairs and Transportation and Infrastructure. On the Foreign Affairs Committee, Congressman Sires is the Ranking Member of the Western Hemisphere Subcommittee as well as the Europe and Eurasia Subcommittee. He is focused on improving human rights and freedoms across the globe and building international partnerships to improve our nation’s security. The Congressman serves on two Transportation and Infrastructure Subcommittees: the Highways and Transit Subcommittee as well as the Railroads, Pipelines, and Hazardous Materials Subcommittee. He is actively involved in reauthorizing the Surface Transportation bill, supporting increased transit and commuting options, safer streets, and more efficient goods movement. In an ongoing effort to shape livable, safe, and dynamic communities, Congressman Sires is a member of both the Democratic Caucus’ Livable Communities Task Force and the Congressional Urban Caucus. He works with the other members of Congress in these groups to promote legislation that focuses on creating safe and more livable communities in which families have equal access to education, economic, housing and transportation opportunities. This term, the Congressman will focus his efforts on the economy, jobs, immigration, education, and affordable housing. Congressman Sires resides in West New York with his wife, Adrienne. His stepdaughter, Tara Kole, graduated from Harvard Law School, clerked for U.S. Supreme Court Justice Antonin Scalia, and now works for a private law firm in Los Angeles.